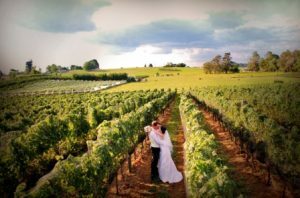 New Zealand weddings are perfectly designed for the best sightseeing and adventure holidays. New Zealand is made up of two major islands named the North Island and the South Island. In comparison New Zealand is approximately the same size as the United Kingdom and Italy but with far fewer people. Less people offer a relaxed holiday and elopement. Driving in New Zealand is a breeze and Auckland is the only area that is subject to real world standard congestion. New Zealand weddings are the most unique and relaxed weddings in the world. Very few countries can boast a geothermal wonderland and hot springs like New Zealand. Few can brag the panoramic views of snowy mountains, crisp, clean rivers and lush forests. New Zealand is very well set up for the travelling tourist. We have a myriad of foods available from Chinese, Thai to Indian cuisine readily available in almost every town. From the North to the South in New Zealand there is the perfect wine trail for everyone and cellar door experiences are nation wide. Almost every town will offer a range of wines from all grape varieties to excite the taste buds. New Zealand is surrounded by ocean so a variety of beaches and beautiful rugged coastlines full of aquatic animal. You won’t have to travel far to enjoy them. Whale and dolphin tours are abundant with excellent success rates. You don’t have to go far from Auckland international airport to experience this. Top dive sites like the world renown Poor Knights Islands are rich throughout the country. Big game fishing and spearfishing is also available throughout and fly fishing and hunting lodges are abundant. At each major destination there are plenty of adventure activities like caving, skydiving, zip lining, bungy jumping, white water rafting, jet-boating, heli-skiing to name just a few. New Zealand has become home to world class golf courses and state of the art facilities. Accompany this with top wines and 5 star + accommodation and you have a fantastic holiday destination perfect for eloping. New Zealand is full of walking and tramping tracks to suit all levels of fitness. The North Islands famous Tongariro crossing will challenge you and inspire with dramatic views. In the South Island the Abel Tasman track weaves through bush and beautiful beaches. If trekking is your buzz then Fiordland’s famous Milford Track is a must do. This track offers vistas of mountain lakes, waterfalls and towering alpine peaks. Sailing is our blood and if you aware of the Americas Cup racing you will know New Zealand sailers do extremely well. The Bay of Islands, Hauraki Gulf, and the Marlborough Sounds all offer sheltered harbours before opening out to larger cruising grounds. Should you want to incorporate a sailing trip into your wedding itinerary we can arrange this and much, much more. Getting married on a yacht is definitely possibly. Areas like the Hawkes Bay, Martinborough, Marlborough and Central Otago are world famous wine regions. A large amount of these have fine restaurants to cater for your fine dining desires. The seasons in NZ are Spring in September until November. Summer is December through February and Autumn (Fall) is March through to May. Our stunning winter is June to August and the best place to book your ski holiday in Queenstown. Why not get married while you are here? Using us to book your wedding ensures the public holidays are in NZ are not going to affect your day and importantly to ensure availabilities during kiwis holiday seasons. English is the common and everyday language, few speak Maori but it’s almost never used. New Zealand voltage is 240 AC. Power outlets in hotel bathrooms generally only accept three or two pin plugs. Getting cash is easy and banks are open Monday to Friday 9am till 4pm, some longer. All major credit cards are widely accepted. GST (Goods and services Tax is standard on all purchases in New Zealand. The rate is 15%. All visitors to New Zealand must have a passport that is valid for at least three months after your departure from New Zealand. New Zealand’s unit of currency is the NZD. All major credit cards can be used in New Zealand with Visa, MasterCard, American Express and Diners Club accepted widely. Tipping is completely optional in NZ, and staff do not depend on tips for income. That being said, it’s totally acceptable to reward good service and the tip you leave can depend entirely on your experience and generosity. 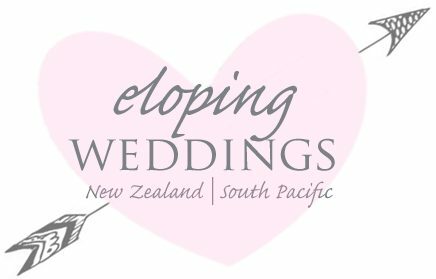 New Zealand weddings really are picture perfect and great to incorporate into your elopement. We are more than happy to help create you a unique and bespoke wedding in NZ.